Prominent & Leading Manufacturer from Jaipur, we offer white synthetic hard felt and synthetic hard wool felts. We are engaged in offering a superior range of White Synthetic Hard Felt that is chemically treated. Our range is used for various kinds of applications like insulation boards and fire redundancy. 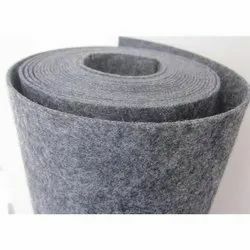 These felts are also used for the various customized applications as per the requirements of our clients.